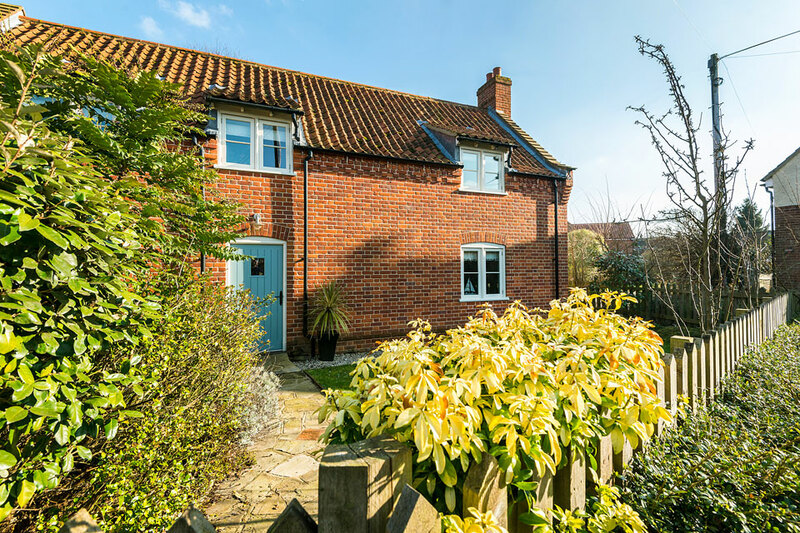 Situated within 3 miles of the north Norfolk coast. 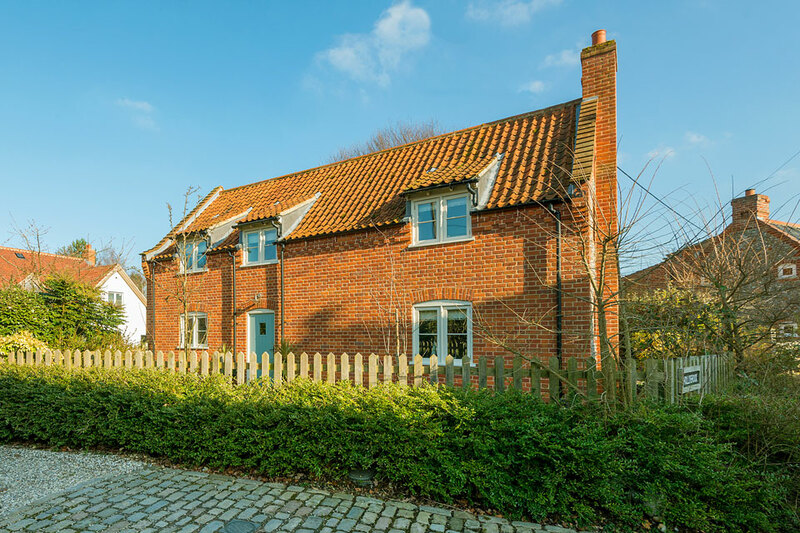 Sitting quietly in the pretty little Norfolk village of Aylmerton, Hollybrook cottage is a 5-star Gold tourist board award winning property which has all the appeal you’d expect from a country home. A short crazy paving path leads across the immaculately kept front lawn, with its neat flower borders, to the front door which, in turn, opens into a spacious entrance hall with its wide oak staircase to the first floor. 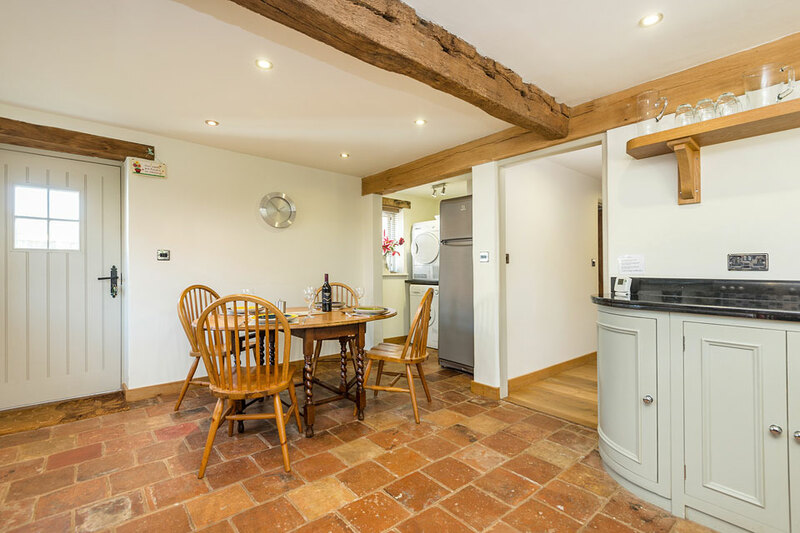 The owners have made every effort to maintain an air of rustic charm throughout this wonderful property. 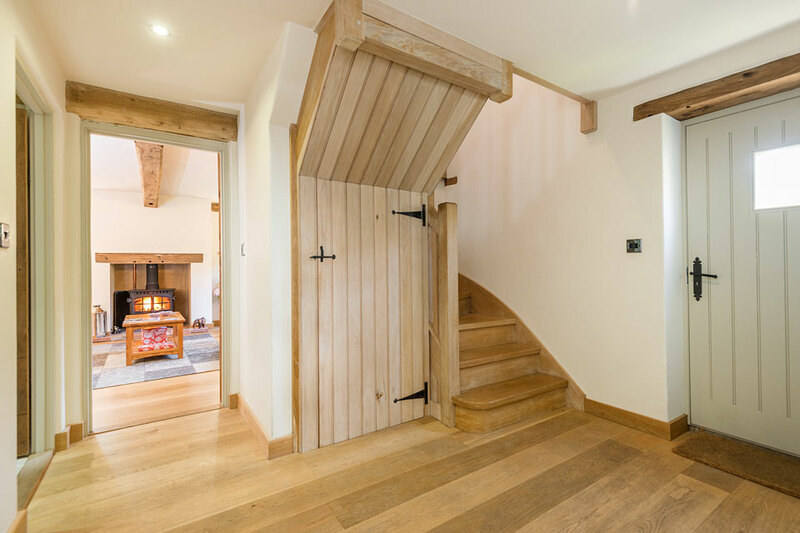 Pastoral rough wooden doors with Victorian latches and some beautiful examples of exposed wooden beams can be found all through Hollybrook cottage – giving it a calm, tranquil ambience and feeling of quiet timelessness. 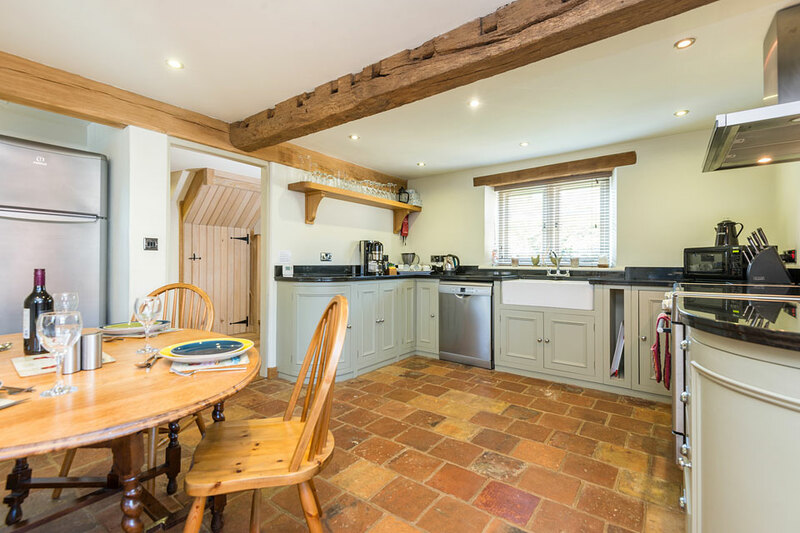 Downstairs you’ll find that the living room is a light and welcoming space with the added character of a traditional wood burner in a flagged hearth – begging to be lit on even mild evenings it is perfect for evoking a cosy atmosphere. The furnishings are comfortable, including two large sofas with a warm rug thrown in front of the fireplace. Modern entertainment is amply provided for with the addition on a smart digital television and DVD player. 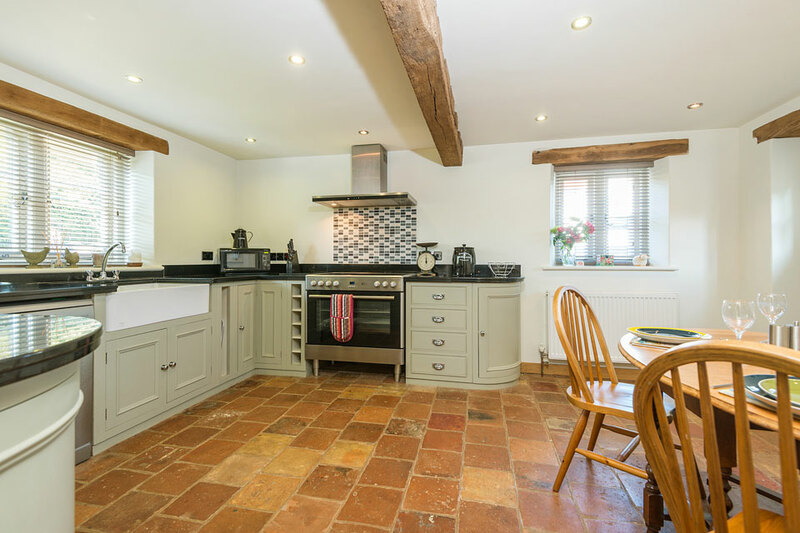 The kitchen/diner is large, excellently equipped and attractively furnished in an almost new England style with hand-painted sage green woodwork, black granite worktops and pammented floor. Cooking is adequately catered for by the expansive modern range with its gargantuan oven space and full overhead extractor. A hefty American-style fridge freezer is also provided together with the convenience of a spacious dishwasher. 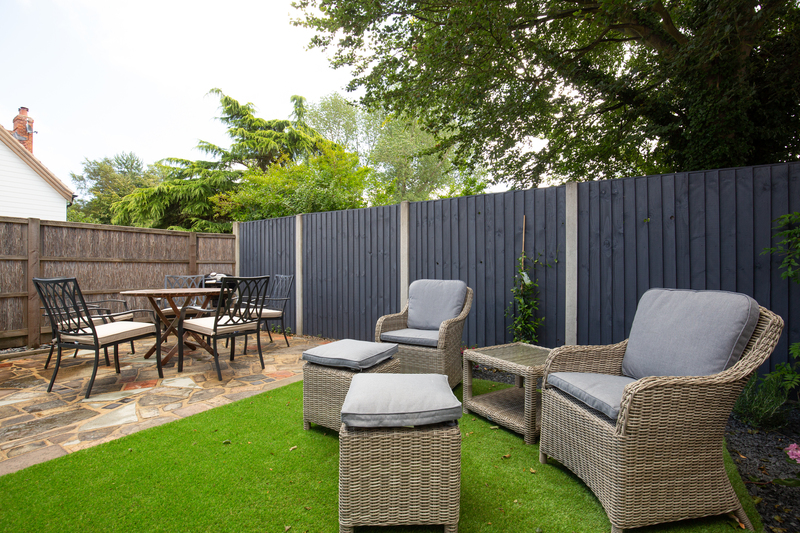 Access to the pretty cottage garden to the rear, with its patio set & BBQ, is also through the kitchen. Secure lockup and bike washing facilities, for those who are looking to cycle the country lanes and cycle routes of Norfolk. Also leading off from the entrance hall is the downstairs shower room & toilet. Again, attractively decorated in the same style and colours as the kitchen this features a roomy shower cabinet & WC. 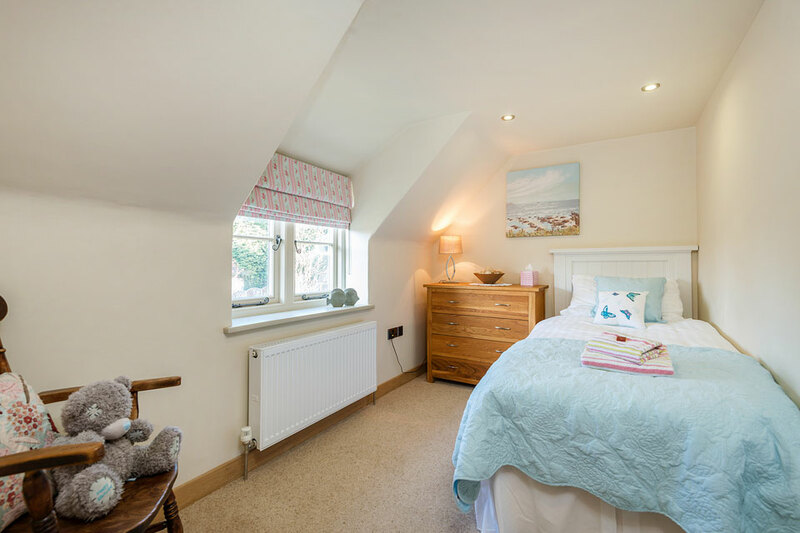 Upstairs boasts warm, all wool carpets throughout the three good sized bedrooms and the landing, together with cottage style sealed unit double-glazed windows. The smallest of the bedrooms has a comfortable, plump single bed and is decorated in a modern but homely fashion whilst the Master bedroom is attractively fitted out with a King-size bed, double wardrobe and chrome light fittings. The third bedroom is a spacious and welcoming twin (where the two single beds can be pushed together to form a cosy double) with an elegant mix of a Victorian fireplace with Edwardian style wardrobe, dresser and bedside tables. The owners have also thoughtfully provided a comfy armchair in case guests feel the need to just sit and enjoy the peace for a little while. 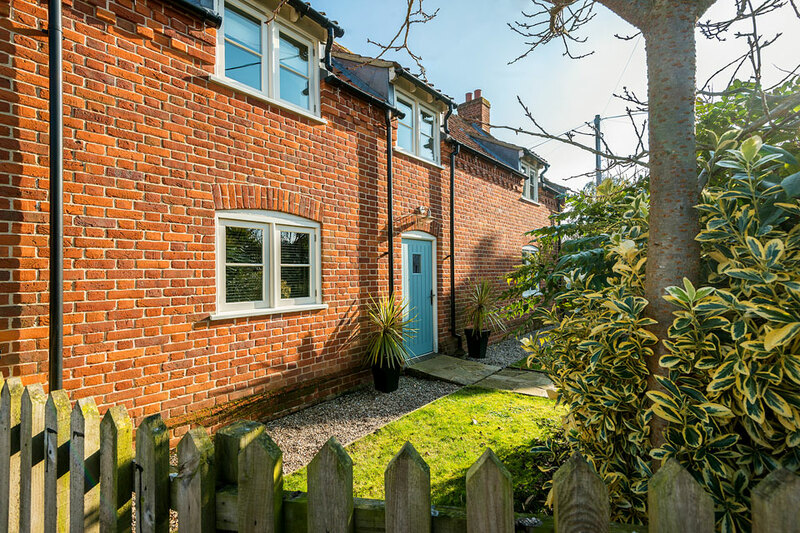 The window of this room affords a view straight down the village’s sleepy main street. 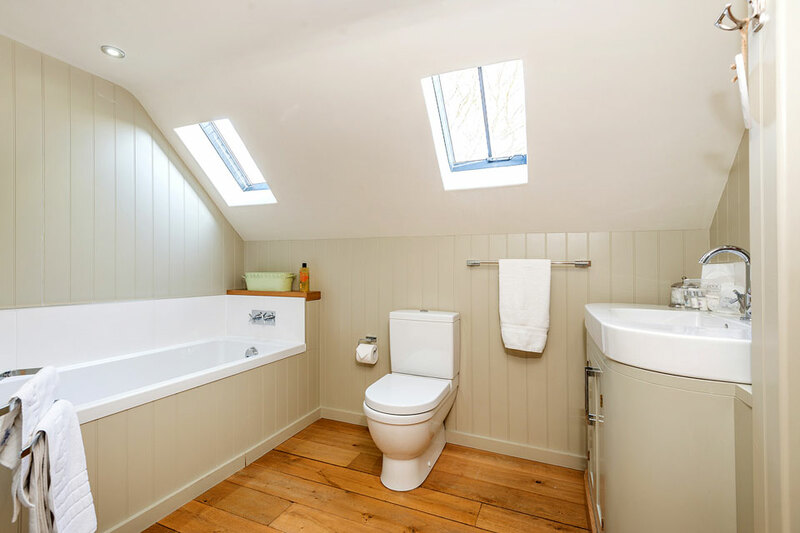 Finally the large upstairs modern bathroom again mirrors the maritime New England style with hand painted light sage green woodwork and is flooded with light thanks to the two skylights. 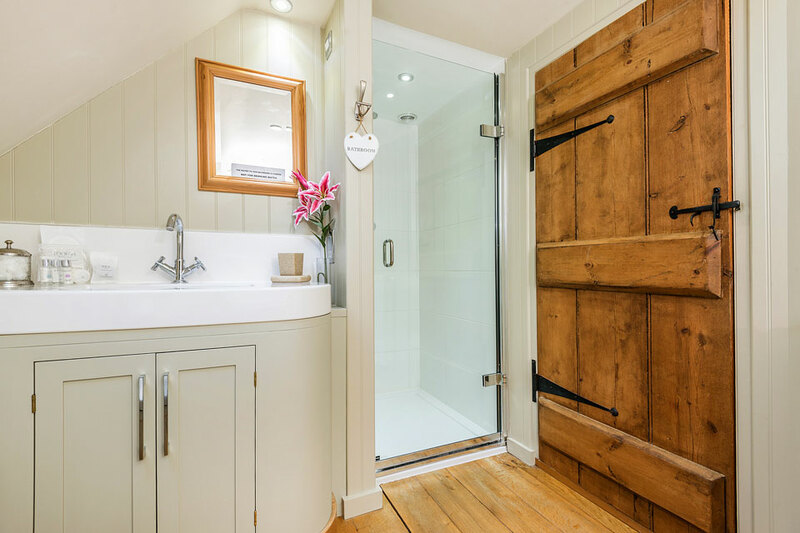 As well as an upstairs WC the room has both a beautiful standalone bath and an exceptionally large shower enclosure – giving lucky guests the perfect choice between a long, luxurious soak or the invigorating warm spray of the power shower! 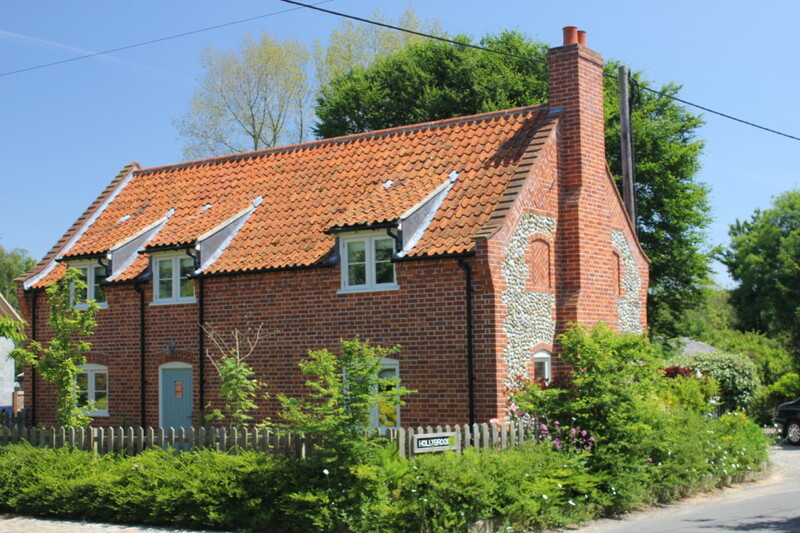 Hollybrook cottage and Hollybrook house can be booked together for larger group holidays, sleeping up to 13 adults plus cots.